Toasted Minced Onion by OliveNation takes the work out of mincing onions. We start with fresh minced onions. Then we toast them to bring out their naturally sweet flavor and dry the onions to make them shelf-stable. Many recipes call for minced onions, but we don't always have time to chop them. Now, we reach for these dried onions to season roasted potatoes, veggies, and other foods. 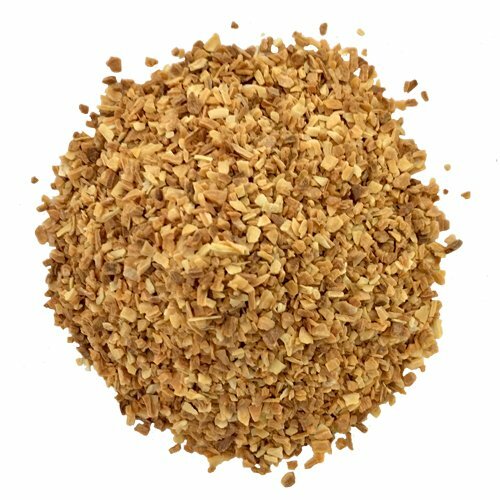 Toasted Minced Onion is non-GMO, kosher, and gluten-free. Toasted Minced Onion by OliveNation takes the work out of mincing onions. We start with fresh minced onions. Then we toast them to bring out their naturally sweet flavor and dry the onions to make them shelf-stable. Many recipes call for minced onions, but we don't always have time to chop them. Now, we reach for these dried onions to season roasted potatoes, veggies, and other foods.